Classroom, Inc. is a nonprofit that develops literacy and leadership skills for middle school students in high poverty communities. Students become the boss through digital learning games set in the professional world. In the process, they read closely, think critically, and solve real-world problems, all while balancing the hectic demands of an exciting workplace. By putting students in charge of their learning and providing support for educators, Classroom, Inc.’s programs deeply engage students and foster the critical literacy skills that will help them thrive in school and beyond. In 23 years, Classroom Inc. has served 750,000 students and 12,000 teachers in high poverty communities in the United States. The McCormick Family Foundation gives generously of its time, talent, and funds in support of Classroom, Inc.’s goal to revolutionize reading in the United States. Through engaged board service, relationship-building, and generous grant-making that supports the implementation of Classroom, Inc.’s digital learning programs in schools across the country, the Foundation demonstrated a truly collaborative approach to its funding by being a partner and advocate in our work. 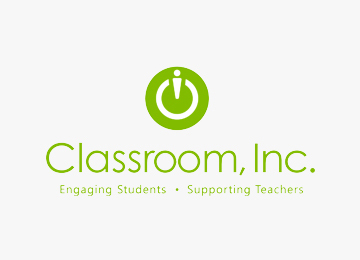 Over the past year, critical operating funding from the McCormick Family Foundation has allowed Classroom, Inc. to serve 7,500 students in 110 schools nationwide; create a new 40-hour digital learning program, Community in Crisis; deepen our support of New York City parochial schools; and receive 1.6 million visits to our games online. We are grateful for the Foundation's support and look forward to continuing our collaboration in the years to come. Lisa Holton, President of Classroom, Inc.